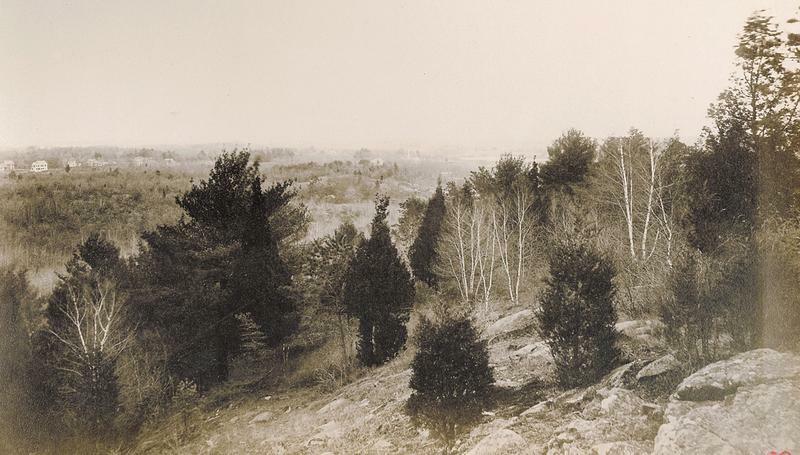 Generations of visitors have enjoyed experiencing the nature of the Fells since its creation in 1894, but the history of how such a diverse natural oasis was preserved, which led to the creation of the entire greater Boston Metropolitan Park System, is little known. The Fells, shown in this view from Bear Hill taken in 1895 or 1896 by Nathaniel Stebbins, was known for its rugged landscape features. Too wild to have been farmed, clear cutting for timber raised alarm that if action wasn’t taken its beauty would be lost forever. 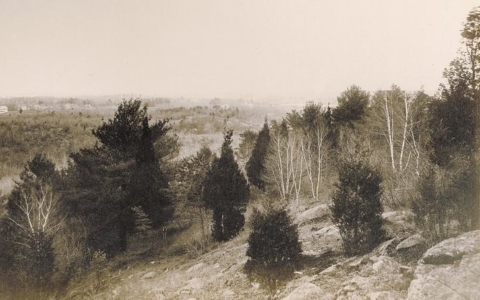 The Fells region was known as ‘The Five Mile Wood’ in the mid-1800s. 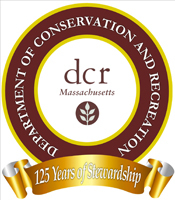 A brief history of the creation of the Middlesex Fells Reservation is available as a PDF download.